A well designed wood moulding package will add substantial value to any project. In the beginning stages of the moulding design process at O.B. Williams Company, we consider a few key issues that will maximize the value of the projects of our clients and avoid many common problems, costs and challenges. Woodwork is considered as “permanent furniture” in any home or commercial building. There are not many things that can provide a project with a feeling of warmth better than the hardwoods used in a well designed moulding package. 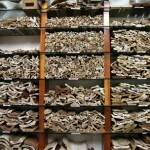 Unlike “synthetic” mouldings made from plastic, fiberboard or foam, real wood is natural, re-generating and renewable. Consider adding elements of naturally finished wood in lieu of painted synthetic mouldings to add value to your project. If using painted mouldings in your design, consider using real hardwoods such as Poplar for profiled mouldings for the rich, warm and genuine quality result they will provide. Design is critical to providing a millwork installation that is both appealing and functional. 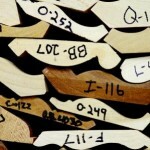 Value-engineering needs to be considered to maximize the thickness of your mouldings while utilizing industry standard wood thicknesses and widths. Our team can work with you to design the perfect moulding package for your next project. 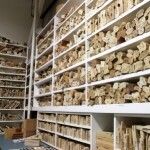 Call us today to schedule a tour of our moulding library located just south of downtown Seattle.